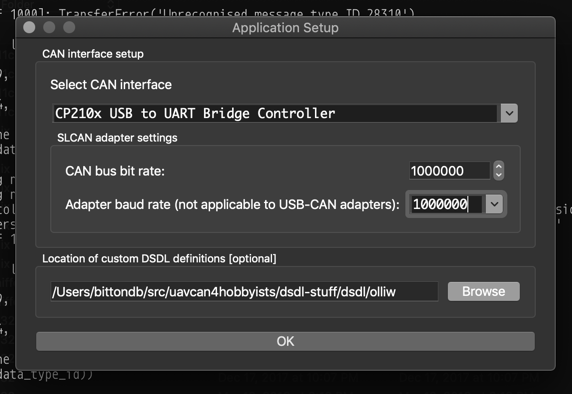 I specified a custom .uavcan file when starting the app. 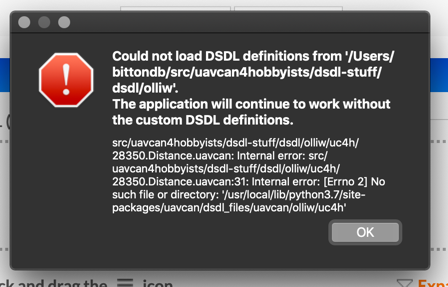 that is defined in a file alongside that uavcan file in the same folder. Why is the GUI looking elsewhere? Why is the GUI looking elsewhere? The GUI is looking where it is supposed to, but the data type uavcan.olliw.uc4h.DistanceSensorProperties is not defined. No, not user error. If the app is going to ask where it can find additional DSDL files, then the app should know to look in the same folder for type defs. I’m not going to own this. and this is all moot anyway because Mission Planner now has UAVCAN node management and the Cube autopilot can server as an SLCAN. The application behaves correctly according to the specification. It won’t look in the same directory because the included data type is referred to by its absolute name. 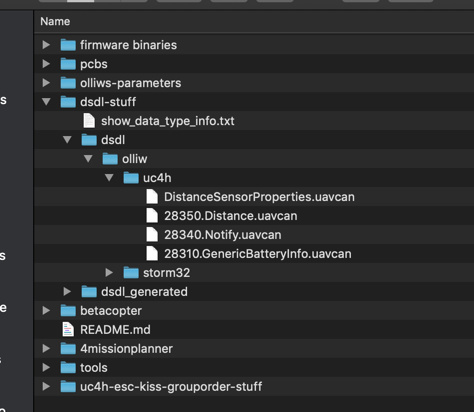 The core issue here is that OlliW has put his own definitions inside the UAVCAN namespace (uavcan), which is expressly prohibited in the spec. The definition is therefore flawed.